Activate Coupon Save $80.00 on Quickbooks Mac 2016 at Intuit.com! 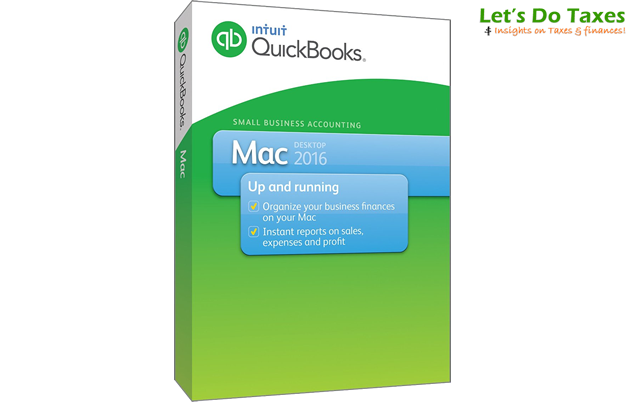 Get $580.00 off instantly when you use the above discount link and order QuickBooks Mac 2016 at the Intuit Store. That’s nearly a 26% off savings from the regular price. No codes are needed at checkout as you’ll see the special sale offer when using the link. Offer is only available on orders made in the United States at Intuit.com. The free upgrade is only available when ordering directly from Intuit at www.quickbooks.intuit.com (third party resellers will not qualify). Get $110 OFF Amazon has Quickbooks Mac 2016 for up to $110 off the list price. When looking for the best deals on QB software, Amazon is one of our favorites to find the best price. Currently, you can find the Mac version on sale for up to 37% off the retail price (about a $110.00 savings). They also offer 100% free shipping on most orders or instant download on the digital versions. Although there is no free trial version of Quickbooks Mac 2016, as a Mac user you may opt to try the new QuickBooks online editions. The web based version of QB will let you work from any internet connected device, including your iPad and iPhone. Because it’s all stored in the cloud, you never have to worry about backing-up your data either. But if you still decide to go with the boxed version, then you get a 60-day money back guarantee from Intuit if you decide it’s not right for you. Best of all, the warranty applies to any authorized reseller that you purchase from (not just for Intuit.com). QuickBooks Mac 2016 lets you quickly get started managing your business in Mac-like environment. Company Setup Assistant creates your organization in minutes and uncomplicated interface make the program easy to assimilate and navigate. Whenever you encounter a problem Guide Me feature will walk you through a particular task until you’re comfortable with it. All major categories such as Customers, Vendors, Employees, and Transactions are separated into groups for easier management and allow you to modify and add any information you consider necessary. Get started with sending estimates and invoices and process payments. All activities are recorded and neatly displayed in Company Snapshot that summarizes all important company statistics on one screen. Customization is a very strong feature of QuickBooks Mac 2016. When you first get started certain forms are available to you as templates but you can easily change them by inserting your company logo, changing colors, font size and style, and reorganizing position of columns and other items. You can also customize reports that summarize the company’s performance; there are over 100 of them. If you don’t find one suitable to your needs, simply create one and even share with other QuickBooks users. Redesigned forms sport Apple familiar interface and include customer/vendor related information on one pane and transaction history on the other. Default accounts – if you have more than one bank account you can decide which one to use to pay bills; you can alternate between the accounts when writing checks, paying bills, sales tax, or making a deposit. Charge your customers for the work already performed or invoice for specific invoiced items; you can invoice different items different percentage of completion. Search within QuickBooks for any key words; search results return all that was found, group it into categories (transactions, vendors, customers, employees, etc. ), lets you filter data and even save the results. Import financial transactions from your bank(s) and QuickBooks automatically adds them in batches so you don’t have to enter them one by one. Speed up the creation of employee time sheet by simply duplicating it with a click of a button. Contact information synchronization across all Apple-based devices and programs – QuickBooks 2016 syncs up with Address Book or your phone. Many transactions can be integrated with iCal and even if you change their details later, it is automatically updated in iCal (and vice versa). Export information to Numbers or Excel. Company data can be shared with users using Windows-based QuickBooks version. You can have several users (up to maximum 5 user licenses) access the company file and work on it at simultaneously. Manage inventory more efficiently with establishing reorder points and tracking what you have on hand and where the items are located. Create shortcuts for transactions you often perform or because that’s how you like to work. Access online magazine, Little Square, that addresses many issues Mac users might face; you will find articles and videos related to running the business, banking, handling payments, and much more.